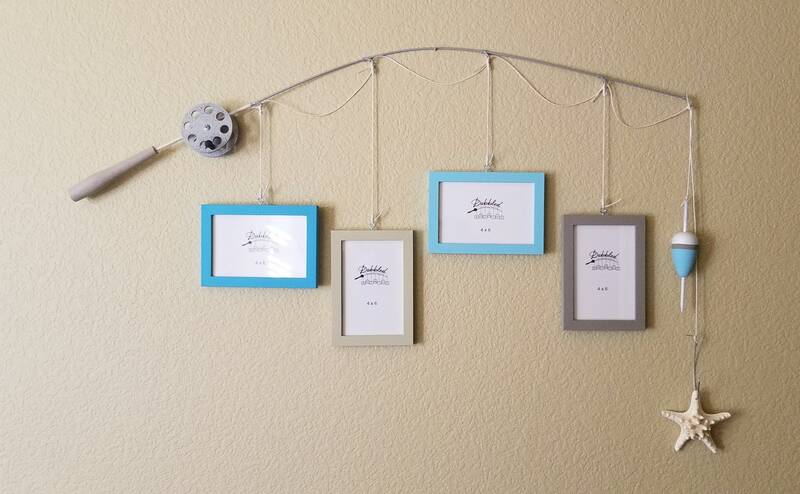 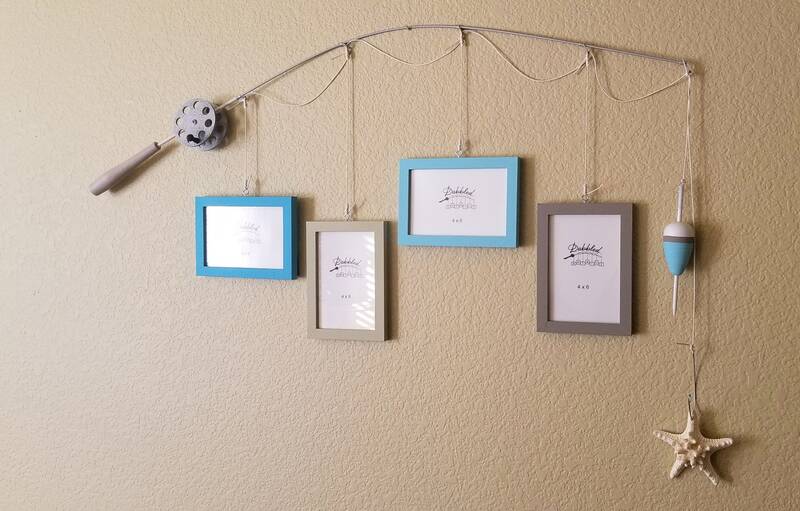 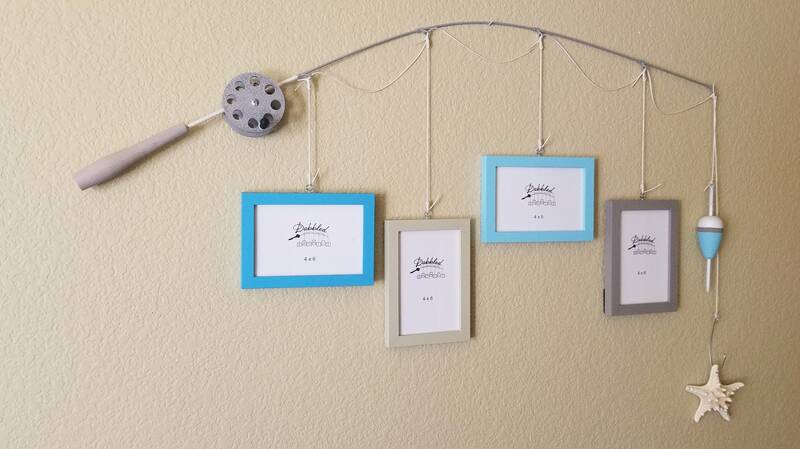 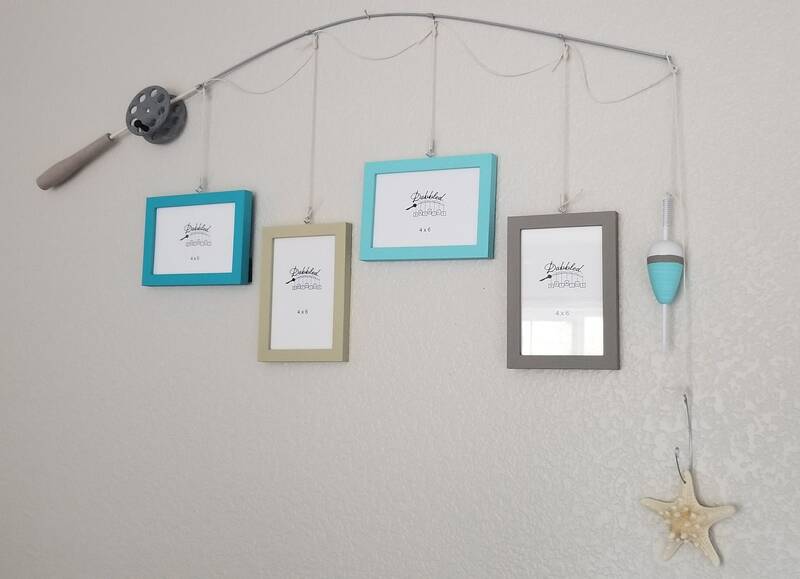 Fishing pole picture frame is hand made to order by me. 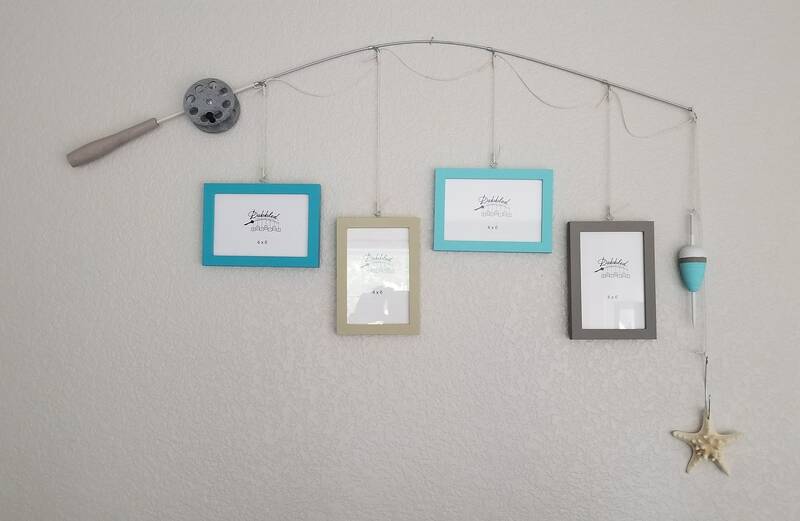 I build the poles and reels by hand then paint the reels, pole handles and picture frames. 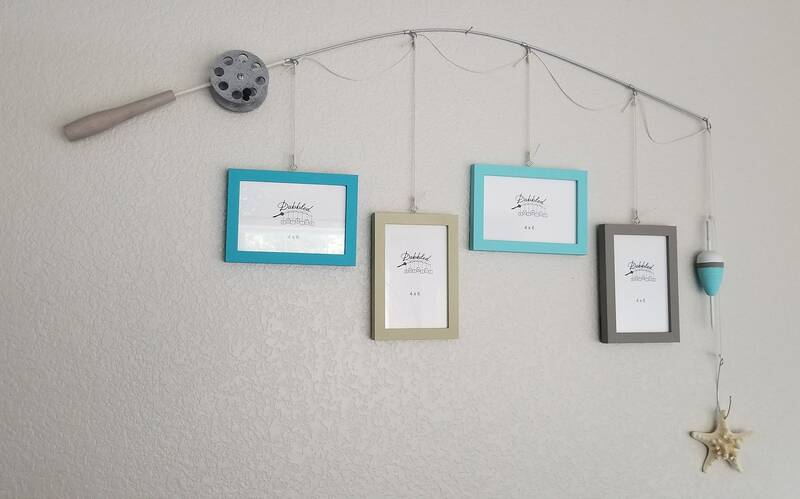 Then I assemble the powdercoated pole frame and waxed cord fishing line along with the pole handle, picture frames and bobbers/lures to create a one of a kind piece.